Boa Vista – The International Organization for Migration (IOM) and the Migration and Human Rights Center (CMDH) signed, on 20 September 2017, a grant agreement for the provision of direct assistance services to migrants in vulnerable situations in Roraima. The grant provision is part of the European Union funded Global Action against Trafficking in Persons and the Smuggling of Migrants (GLO.ACT) and aims to assist civil society organizations to develop protection and assistance programmes for migrants in vulnerable situations. With numbers being estimated in the thousands of migrants, Roraima is facing an influx of mixed migration flows that includes victims of trafficking and migrants in vulnerable situations in need of assistance. The grant will enable the roll-out of professional trainings, workshops and sessions on the rights of migrant as well as the strengthen the CMDH’s capacity to provide assistance, and legal and administrative orientation and referral to relevant public services. The grant also includes the provision of material (clothes, food, etc.) assistance to migrants in vulnerable situations. 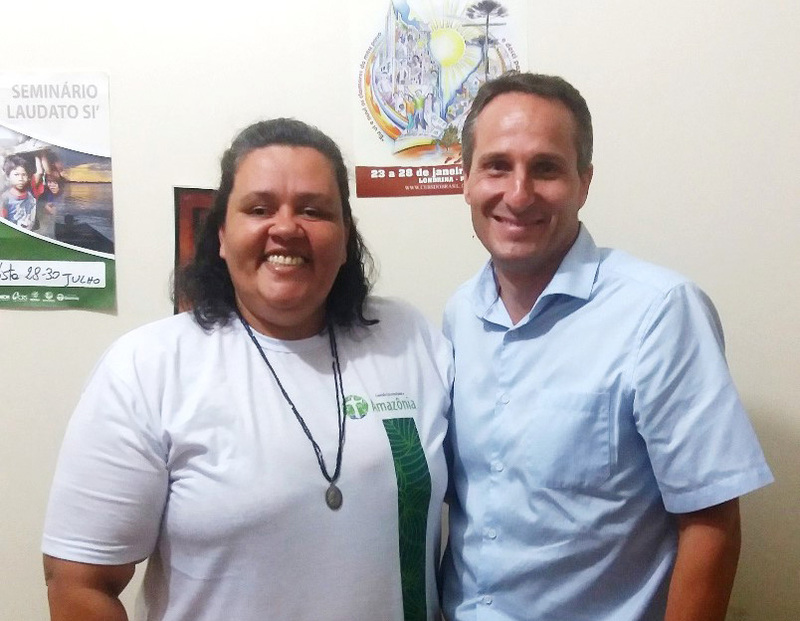 The grant agreement was signed during the recent visit of the IOM Brazil Chief of Mission, Stéphane Rostiaux, to Roraima and will finish in September 2018. The Global Action to Prevent and Address Trafficking in Persons and the Smuggling of Migrants (GLO.ACT) is a four-year (2015-2019), €11 million joint initiative by the European Union (EU) and the United Nations Office on Drugs and Crime (UNODC). The project is being implemented in partnership with the International Organization for Migration (IOM) and the United Nations Children's Fund (UNICEF). GLO.ACT aims to provide assistance to governmental authorities and civil society organizations across 13 strategically selected countries: Belarus, Brazil, Colombia, Egypt, Kyrgyz Republic, Lao PDR, Mali, Morocco, Nepal, Niger, Pakistan, South Africa, Ukraine. It supports the development of more effective responses to trafficking and smuggling, including providing assistance to victims of trafficking and vulnerable migrants through the strengthening of identification, referral, and direct support mechanisms.